Winning starts with setting goals. Building a great team is tough to do. It takes a clear sense of direction, passion, commitment, clearly defined roles, and clearly defined goals. After the Chicago Bulls “three-peated” winning the NBA Championship in 1996, Michael Jordan reflected on how he and his teammates made this happen. “We set our eyes on the title, we knew what we had to do to get things done, and we just took care of business.” The fact is that Jordan and his mates simply set the goal of winning another championship the moment the second championship was won. By setting this goal they activated a championship mindset. Winning starts with setting goals. That is, an outstanding team, whether on the playing field or in the corporate meeting room, is more than just of group of people working together. Building a great team is tough to do. It takes a clear sense of direction, passion, commitment, clearly defined roles, and clearly defined goals. Keri Sanchez played collegiately for the most storied soccer program on this planet—the University of North Carolina-Chapel Hill. While under the tutelage of legendary coach Anson Dorrance, Sanchez learned the value of goal setting as a way of promoting growth and development as well as evaluating performance. As a four-year starter Sanchez experienced first-hand how goals are like the eyes of the organization: they enable people to see where they are headed and what it will take to get there. Goals are vital because they define what the organization strives to achieve. Setting goals is crucial because it activates a mindset by engaging people in three ways. First, goals help set direction. Second, they inspire passion. Third, a goal provides meaning and purpose. While goals are as varied as people and organizations are, they let people know the direction the team will take to bring the organization’s mission to fruition. The North Carolina teams Sanchez played on were four for four—that is they won four NCAA championships in the four years she played. It was there she learned the importance of a goal setting system. “Goal setting is an important part of measuring individual and team effectiveness. In addition to general team goals, it’s important to have a number of goals for each player to strive to reach—to reflect the individual’s growth and development as a player. Leadership in its simplest form has been described as the ability to influence people toward the achievement of goals. Wherever people come together to do things you’ll find goals embedded in the process of motivating people, evaluating performance, determining outcomes, and ultimately the satisfaction of the individual. Today we accept that the foundation of an effective motivation program is proper goal setting. “Because the college season is pretty lengthy, here at CMS we split the season into four quarters. We have a preseason, a non-conference season, our first round of conference opponents, and then second round conference and playoffs. At the end of each stage we reflect on where we are in relation to where we want to go. One important factor in creating effective teams, of course, is the role of setting and pursuing goals. One of the most important aspects of any team leader’s job is the ability to identify worthwhile and realistic goals and then concentrate on providing resources and constructive and timely performance and behavioral feedback. ” At the beginning of the season we focus on the team’s goals. We set team goals and ask each player “What’s it going to take to get there?” Players then set individual goals and we work hard on them, but the focus is really on the team’s goals. We value sacrifice which means putting the team above the individual, but this doesn’t necessarily mean having to sacrifice the individual’s goals. It’s important that they know how we want them to prioritize goals. Simply stated, goals give you direction. A well-thought out goal helps you to define where you want to go. Once you set a goal you have a direction. Goal setting is really strategic planning. The organization plans because it needs to visualize what has to be accomplished and how it will be done. A well-thought out goal planning system includes the steps necessary to reach desired results. 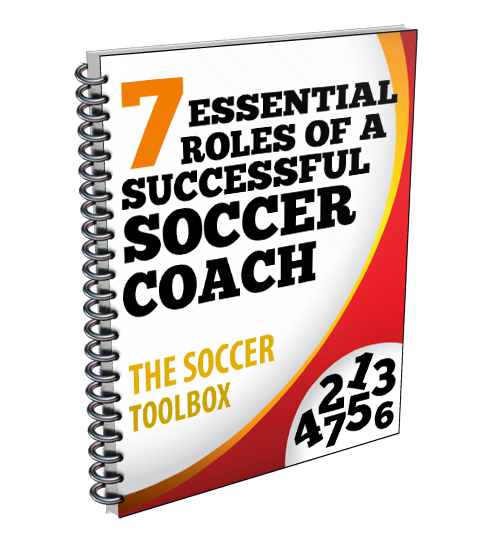 The principles are the same in every organization, whether the business is soccer or selling insurance. Together coaches and players—leaders and team members—develop goals. And together they make things happen toward the team goals, consistent with the mission, while developing oneself in the process. “Our players are sincere in their efforts to do well. They all want to succeed. It’s just that sometimes they need to be reminded of what it takes to get where they want to go. Goal setting has both a strategic and a personal side—one for the team the other for the participants. These are sometimes called, respectively, hard and soft. Organizations have traditionally emphasized goals and goal setting as a strategic process because the people side is much more difficult to measure. Yet, every company desires to beat their competition, to get ahead. And to do this requires growing and developing the people. A competitive advantage can be gained from the personal side of goal setting. Most people inside organizations are caught up in their day-to-day activities. The daily grind often holds people back from setting aggressive goals. They have too many things on their mind to set and chase goals. But that’s a mistake. Performance goals and growth seeking goals are necessary for aiming high and engaging people. The right goals set in the right way can get people excited. “Our players do get excited when they have success in achieving goals. They are doing things again and again, and hopefully each time seeing more and more improvement and growth. The most successful leaders have a single-minded focus on what they want to do to win. Very little else matters and they don’t let things get in the way. They are focused, have a direction they want to go and take steps towards their goals. Sanchez, like the best corporate leaders, demonstrates a relentless and uncompromising personal will. “For me being a leader is setting an example, setting the standards for what I think it will take us to be a good team. It means being a role model; providing the players a picture of what can happen when you aim high, focus, and take action towards your goals. Goals take time to set but they take great courage pursue. To pursue goals you have to overcome barriers and challenges. Goal setting requires teamwork. The desire is to blend personal ambition on the one hand, with cooperation, communication, and concern for others is always a very challenging aspect of leadership. The paradox of team leadership is that it is through the weaving together of individual talents you achieve high-performance. “Often there is little difference between high performers and ordinary performers. The differences appear in attitudes and the work ethic. “Playing time is always an issue. We’ve got 30 players that want to start, but only 11 can. It’s important to us how those other 19 handle the situation. You don’t want them to be satisfied not starting, but they need to understand their role. I share my experience with them. The successful teams I played on were those that found a healthy balance between individual and team goals. Once team members have confidence in the leader, it is then possible for that leader to identify goals that the team can achieve and levels of performance to which members can aspire. The effective leader is able to shape desired behavior in subordinates by helping set specific goals, measure those goals, and providing timely and meaningful feedback. Effective leaders have the respect and commitment of team members. To that end, team members are more likely to “buy into” the team’s goals and the individual goals of their teammates. “The great thing about the student-athlete at Claremont is that they want practices that make them reach, stretch themselves. We put them in uncomfortable situations to get them to stretch their comfort zone. We like to get them to train on the edge, trying to get them to that point where improvement becomes possible. The key is motivation, the drive that keeps people, teams, and organizations on track and getting results. Progress comes from focusing on the destination and from successfully moving through the various stages along the path. The motivating potential of chosen goals is one of the reasons for setting goals. Research has shown that performance and commitment to goals is a result of goals that are specific and appropriately challenging. “I’ve found that goals help players focus on competing to get better, to not settle for mediocrity; to not be okay with living in the middle. Too many people are okay with living in the middle. We want players to strive to be better than that. Sanchez is a graduate of North Carolina-Chapel Hill, where she majored in physical education while competing on four NCAA championship soccer teams. While at Chapel Hill she earned various honors as a player, including All-American for three years, and captain/MVP her senior season. She received a master’s in exercise physiology from the University of Oregon. Keri Sanchez was a standout high school athlete at Santa Teresa High School, San Jose, California. She lettered in 5 sports over her career – cross–country, volleyball, soccer, swimming, and track and field. She excelled at both soccer and track. In her senior year, she made her first call up to the senior US Women’s National Soccer Team where she played in the first World Cup qualifying tournament in Haiti. Upon graduating, Keri accepted a scholarship from University of North Carolina–Chapel Hill. While there, she played soccer for 4 years, and ran track for 2 years. Keri was a 4–time National Champion in soccer and 2–time ACC performer in the 400m hurdles. She was a co–captain of the soccer team her senior year and an Academic All–American. During her freshman year in 1991, the Tar Heels won 24 consecutive matches and Sanchez earned All-ACC honors en route to an NCAA Championship. The following season, the team posted a remarkable 25-0 record and won its seventh consecutive NCAA title. In Sanchez’s junior season, North Carolina went 23-0 season and added another national championship. She was named an All-American and earned a second-team selection by Soccer News. As a senior Sanchez was named team captain and led her Tar Heels team to a 25-1-1 record. The team capped the season with the fourth championship in her collegiate career. Sanchez was named team MVP and she was named to the All-ACC team. She graduated with a degree in physical education. During her time at North Carolina, Sanchez also trained as a member of the U.S. National Team pool, under the direction of Tar Heels head coach Anson Dorrance. She was a member of the Youth National Team from 1990-1992 and played with the U.S. Senior National team from 1991-1995 and again in 2001. Sanchez played in World Cup qualifying in Haiti in the spring of 1991 and played a total of 13 games for the women’s Senior team over her career. Keri graduated in 1995 with a BA in Physical Education. She started a coaching career at University of Oregon in 1996 as an assistant women’s soccer coach. While there, she earned her Master’s Degree in Exercise Physiology. The first women’s professional soccer league (WUSA) was started in 2001. The Boston Breakers drafted her in the second round. She accepted her first head women’s soccer coaching position in 2004 at Claremont McKenna–Harvey Mudd Scripps Colleges in Southern California and where she’s still currently coaching.